I have another success story to share with you! 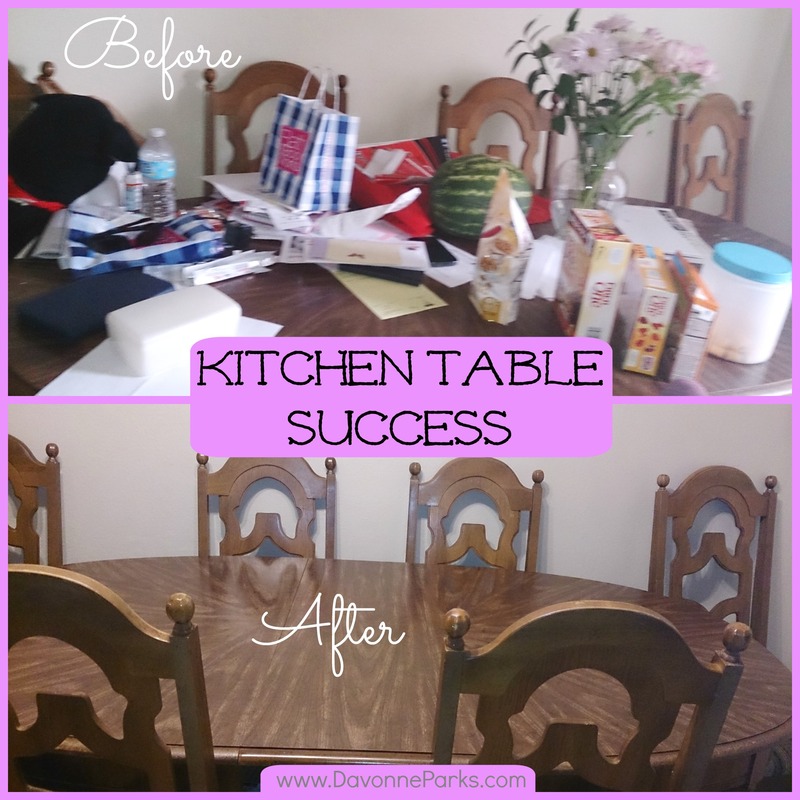 Valerie solved her messy table and baker’s rack dilemmas! “Hi! I’ve been able to tackle my first project. 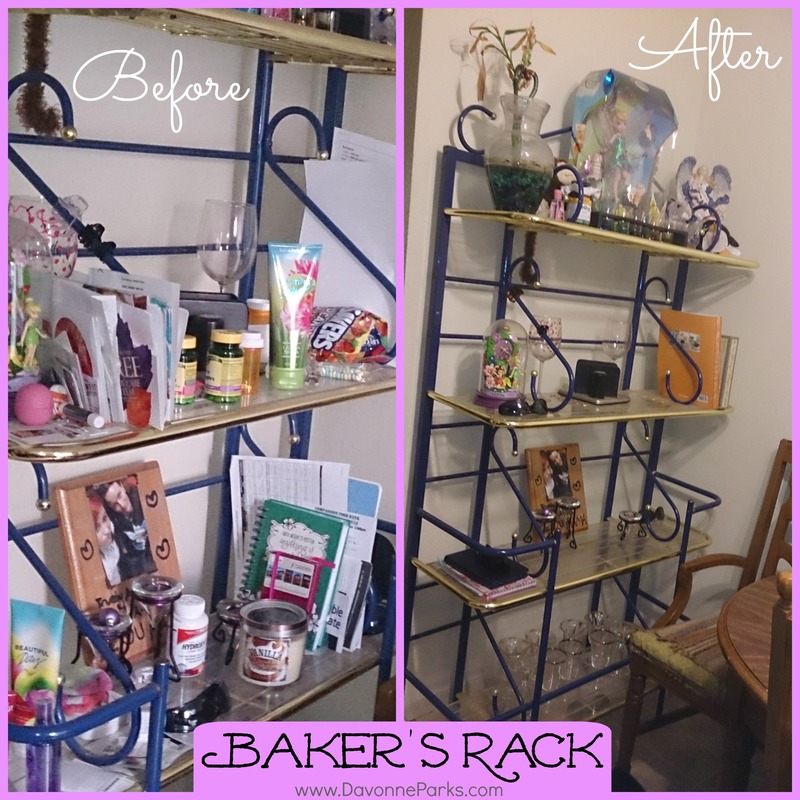 “For my bakers rack, I started in small sections. I went thru the small paper items on the left side and put them in their homes. If they were coupons, they went in my wallet, I put important documents in my basket in my bedroom, and some items were old and just needed to be tossed. I put the charging cords in my room with my other ones. “My vitamins are still a work in progress, trying to find them a home where I can remember to take them. I had some “work” papers also on here, but I also have a section in my room that I keep them, so I went thru them, tossed out what I truly no longer needed and put the rest in their home. “I allow my sunglasses, planner and tablet to remain on the bakers rack, but nothing else. I’m trying not to add a basket to house any items at this time, but I’ll use that as an option if I cannot stay on track of putting items in their official homes immediately. Your table and baker’s rack look fantastic Valerie! Awesome job – your $5.00 gift card is on its way! PS See more details about Valerie’s mess here and go here to find out how you can get FREE advice about your own space.